If you haven’t heard of it you may not have been online the past year. 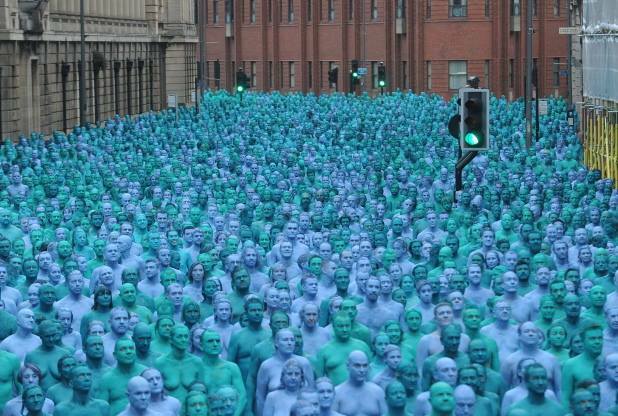 The Sea of Hull was a project by Spencer Tunick, the man who became famous by photographing large crowds of naked people all over the world. In Hull, this very year (this month even) he created a sea. Hence the name Sea of Hull. An amazing number of 3200 people had volunteered for this happening. And this is what it looked like at one point. A sea of blue and green people. Stunning. 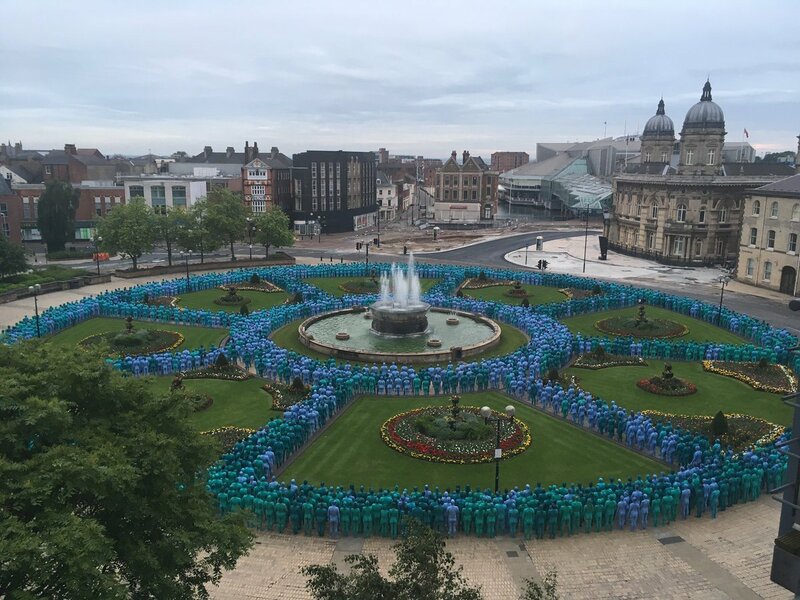 Well done, Mr Tunick, and well done everyone who showed up in Hull to participate in this amazing display. Bodypainting is something that works best when naked. I found a number of amazing images of that on IO9. Visit io9.com for more images. Try that with clothes on!